The story is that my uncle lived in the area for awhile and loved it. Then a couple of tragedies struck the family which caused them to move down into Portland. One of those tragedies was the death of his 2 year old daughter. She drowned in a creek near the home. There was a cemetery next to his house where he buried her. I remember my uncle talking about this place a few years ago, not knowing exactly where it was. He described it as “beautiful” and mentioned that he wanted to be buried there. And also said anyone in his family could be buried there too. He came to visit a few years ago and finally took me there himself. Visiting this place will be forever marked in my history as one of the most surreal moments of my existence. We drove into what seemed like the dirt road of somebody’s house. We ended up at a very dense grove of trees. it was impossible to see what was on the other side of them. Uncle Will opened the trunk of his car, grabbed some garden loppers, gasoline, and weed killer. He handed me a pair of loppers, and walked toward a small opening of this grove. He seemed to know exactly where to go. He cut a hole into the opening. I reluctantly followed him into this strange place. It was absolutely incredible. Above me was as canopy of thick Douglas Fir. Around me was moss, ivy and fern, growing all over everything. The tops of turn-of-the-century headstones peeked out of the ivy. We bush-whacked our way to the back of the cemetery where we found the grave-markers of my cousins. Lo and Behold, an effort was made to clean the cemetery up! Somebody who also has family buried there headed this up a couple of years ago and since then amazing work as been done. In many ways it has brought our community together too. Lots of people who live here have been in on this project and have enjoyed uncovering history in their own backyard. I think about this effort and it blows my mind. 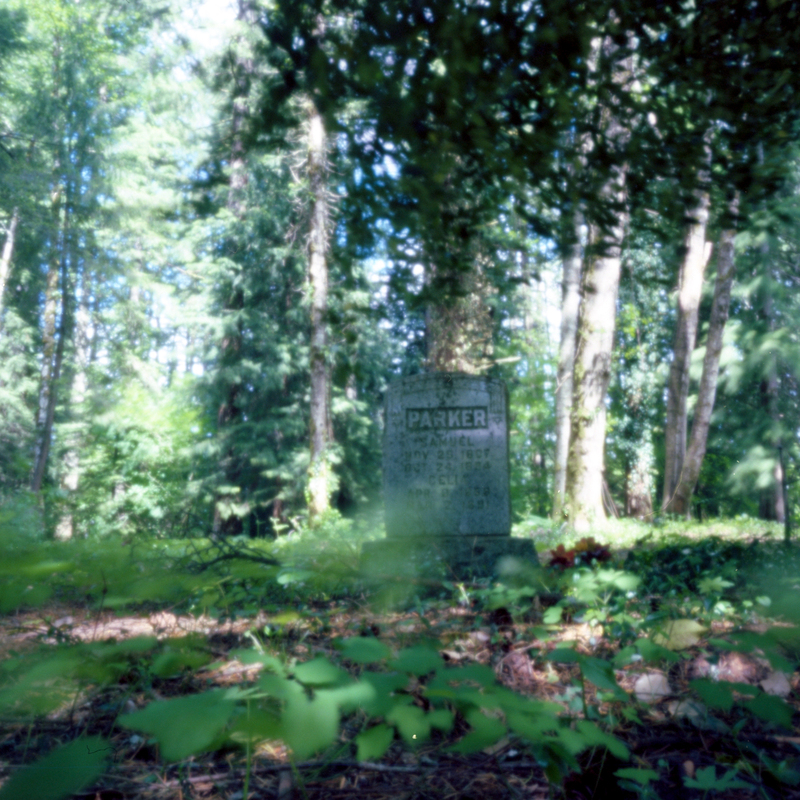 This was a cemetery that was slowly being swallowed by the forest but it has been saved. The cemetery is now an historical landmark and was dedicated this summer. It is still hard to find so if you are ever in the area and want to see it let me know and I will take you there. 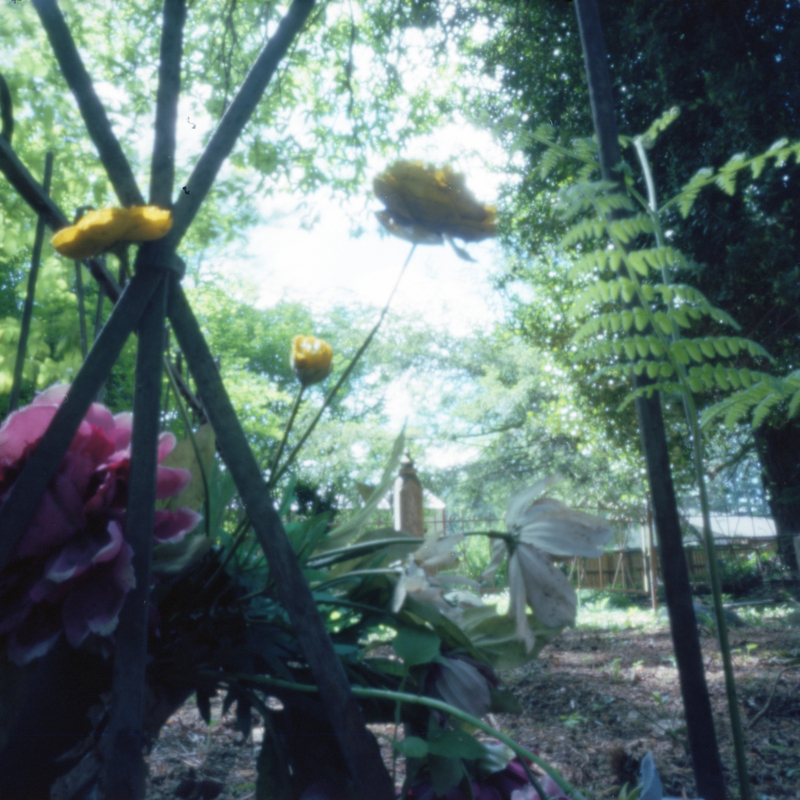 The color photos were made with a Schlem P6*6 printed pinhole camera and Ektar 100 film. The black and white photo was taken with a Zero 45 and Arista 100 film. Such an interesting story, and great pictures! 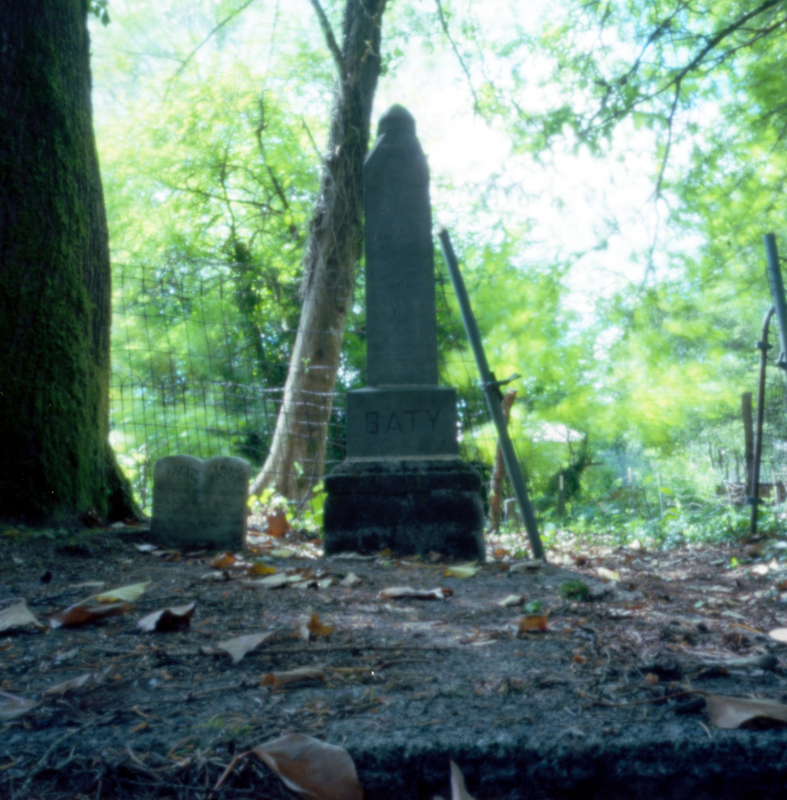 It is nice how the community got an interest in an abandoned cemetery and started caring for it. I forgot to share this here! It’s my latest post on Pinhole Obscura. 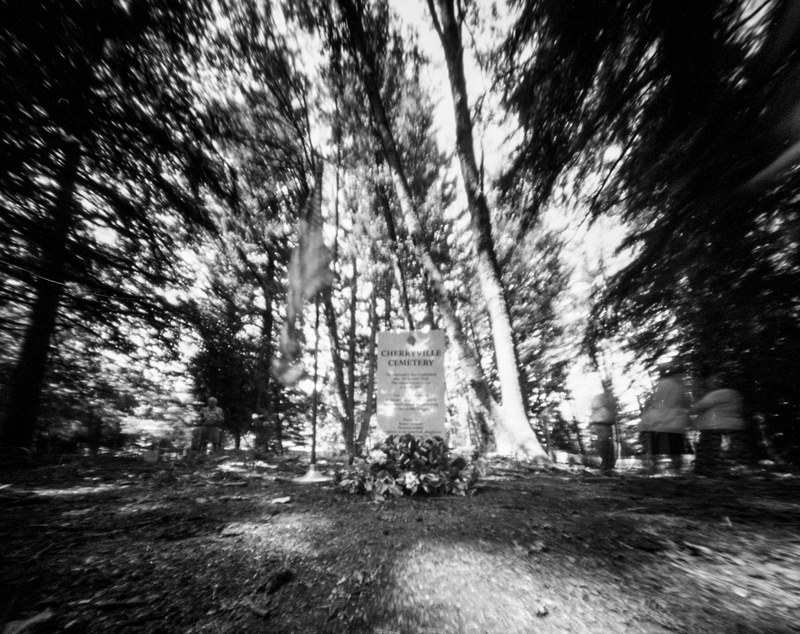 I’ve told the story here before, but this time I have pinhole photos!